Woah, that's a bit surprising. I'm happy enough knowing other people would like to see more Metroid stuff too, haha. These new Hyrule Warriors packs look awesome! Hey, if I get back into making a Brawl project, do you mind if I use these over the Zelda characters? Sure, just make sure to give proper credit. Been working on Zelda to try and get her to use 1024x textures for both her diffuse and spec textures(Warrior version). Unfortunately i can only do one, so the diffuse will be at 1024x while the spec will be at 512x. Just need to finish up Sheik's team recolors and do Zelda's. 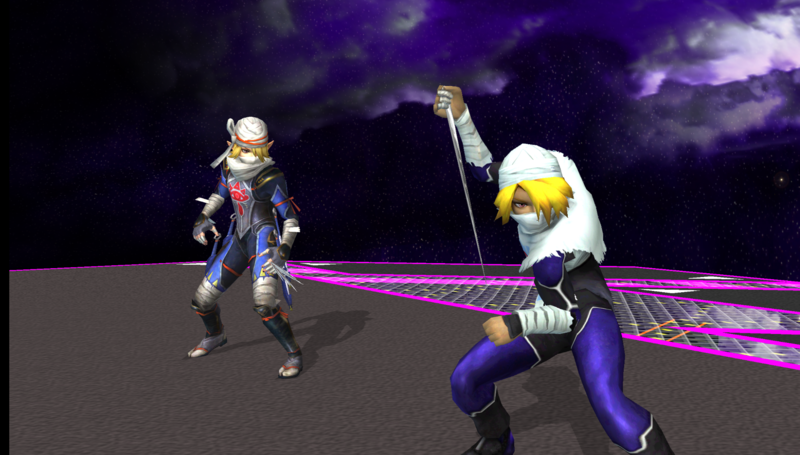 Only Progress i has to show atm is Sheik's beta team colors, nothing really changed with the models. ooooh. I like the Red Sheik. As for Metroidy thing. 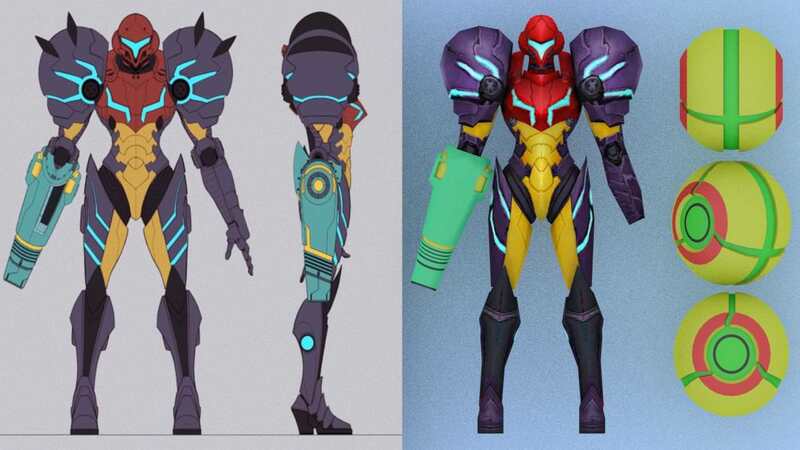 I say Samus Returns, for the explicit reason that nothing's been done with it yet. There are quite a few things from the other two already, so why not let something newer happen, haha. Lowering the spec map's resolution is a fair compromise I think. 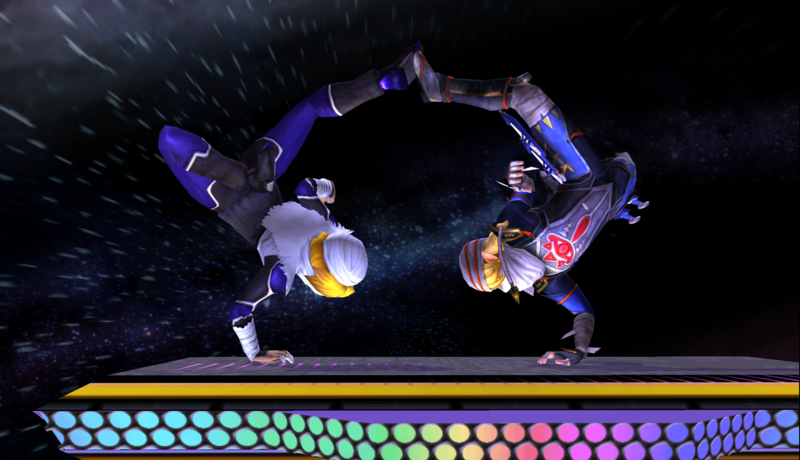 Sheik's team colors are looking good, especially the red one. lol, i think red is everyone fav. Forgot to mention the results of the poll. The winner of the poll is Samus Returns, followed by Prime and then Other M.
Update on Hyrule Warriors Sheik/Zelda. Both of their defaults costumes are done, just having issues with getting Zelda to work. After compiling her shaders/materials she freezes at the SSS. Probably going to release Sheik this weekend and Zelda whenever i can figure out what's causing her to freeze. Since i am just releasing Sheik i will include her OoT alt instead of holding off like i originally planned to. Last weekend i decided to get Metroid Samus Returns Samus started. She's very low poly right now, starting with a custom low poly mesh that i will build on for all of her costumes (Power Suit, Varia Suit, and Gravity Suit). Currently using the textures from the game (it's the only thing that i know of that's been ripped) will have some custom HQ textures after i finish modeling/UV'ing the custom model. Woah, that model looks fantastic! Coooooooool. 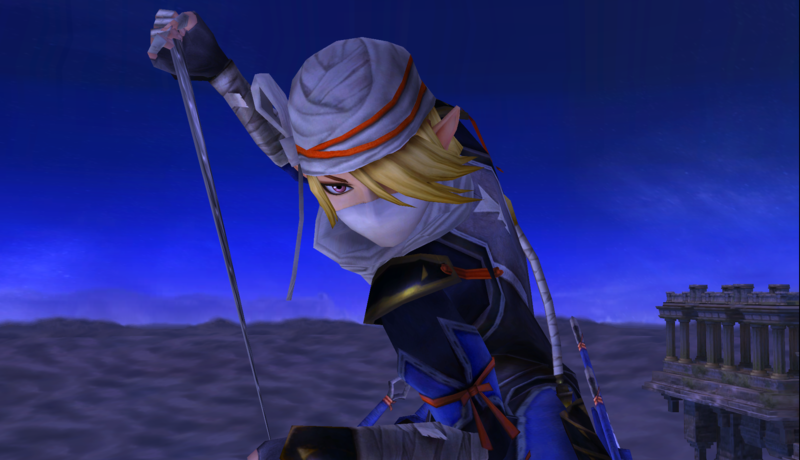 Re: iwantgames Projects: Hyrule Warriors Sheik Pack Released! Hyrule Warriors Sheik Pack is released! Click thumbnail to download. Credit/Thanks to Flambo for testing and getting screens. Currently only has four costumes (Default, Master Quest recolor, Twilight Quest recolor, and OoT alternate costume), was undecided on a few areas on my custom recolors so i didn't finish them. Will update her when i finish them sometime this week. 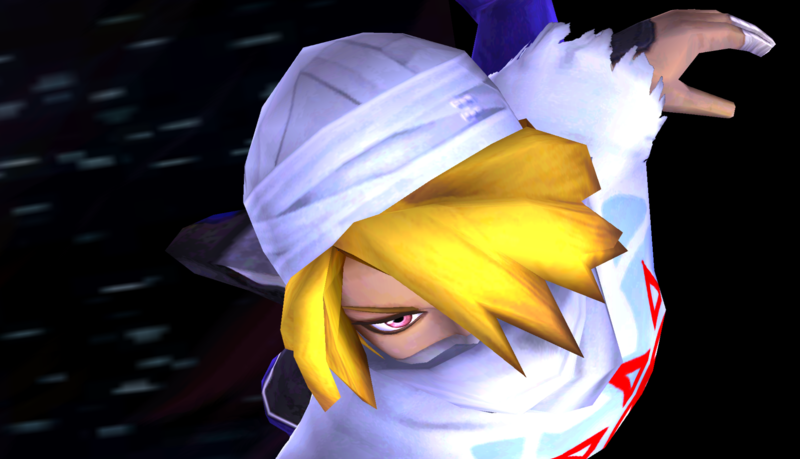 That stare on HW Sheiks face, it make you feel like you've already lost, before the brawl even started.